Getting ready to head to Disney’s Hollywood Studios? While you may already have your FastPass+ selections made, you may not know about some of these other special events at Hollywood Studios. Many of these do require reservations and extra fees, but are so worth the extra Disney magic. 4. Dine with an Imagineer at The Hollywood Brown Derby – Ever wonder what it’s like to be a Disney Imagineer? Guests 14 years old and over can enjoy a 4-course meal at the amazing The Hollywood Brown Derby while dining with a Disney Imagineer. You can get the inside scoop from the creative minds behind Disney resorts and all the magic. 3. 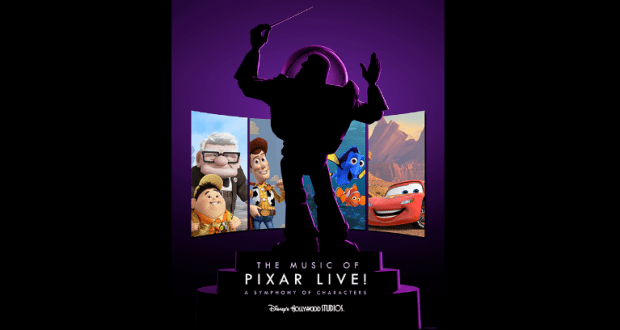 Music of Pixar Live Dining Package – Sit back in reserved seating at the Theatre of the Stars and enjoy a symphony playing all of your favorite Pixar soundtrack tunes. When you add the dining package, you can choose from 3 different dining options including Hollywood and Vine, Mama Melrose’s Ristorante and The Hollywood Brown Derby. The dining package also gives you reserved seating for the symphony performance. 2. Star Wars: A Galactic Spectacular Dessert Party – If you love Star Wars, you won’t want to miss this. Imagine nibbling on Darth Vader cupcakes and other yummy desserts and cocktails inside Star Wars Launch Bay. Fifteen minutes before the fireworks start, you are escorted to a VIP viewing area and even get your own Wookie stein to remember the event. 1. Star Wars Guided Tour – If you are a true Jedi, then this ultimate tour is for you. This 7 hour VIP tour will have you meeting characters up close and personal, enjoying Star Tours in a speeder, special reserved seating for the Star Wars: A Galactic Spectacular Dessert Party and a special souvenir. A true behind the scenes and Star Wars fan must-do. With the expansion of Star Wars and Toy Story in Hollywood Studios, we can be sure that more fun and magical events will be added but if you have some extra time and money, don’t miss these 4 fun events.